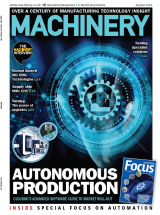 As of last month, Ford Motor Company is building a new family of diesel engines at its advanced engine plant, Dagenham. It is one of a line of recent diesel engine production announcements made for the Dagenham plant. This latest statement will see Ford produce a dedicated 2.2 litre commercial diesel engine for the Ford Transit and for PSA Peugeot Citroën’s new LCVs (light commercial vehicles). Up to 200,000 of these engines will be produced each year at the Dagenham plant. This represents the fourth phase of Ford Motor Company and PSA Peugeot Citroën’s diesel engine development partnership and has seen a joint-investment of €332 by the two companies. 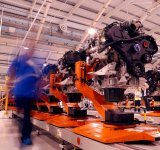 Last December Ford announced a £169 million investment in the Dagenham diesel engine manufacturing unit, which took investment at Dagenham since 2003 to over £550 million at that time. The company then announced plans for 1.4 and 1.6 litre diesel engine production from 2007 and said that when the new 1.4 and 1.6 litre engine lines are fully operational at the Dagenham Diesel Centre, the total number of diesel engines produced each year on the Dagenham estate was then estimated to be almost 1,000,000. The 1.4 and 1.6 litre engines are for models produced by Ford, Volvo and Mazda, with the Ford models taking in Fiesta, Fusion, Focus and Focus C-MAX. Existing products as of last December were 1.8, 2.0, 2.2 and 2.4-litre diesel engines for the Focus, Mondeo, Transit and Transit Connect ranges.